When people think of on-the-job injuries, they often think of sudden, unexpected accidents, such as falling off a ladder, being involved in a car accident, slipping and falling, or injuries due to lifting heavy objects. These types of work injuries are known as “specific injuries” under Minnesota workers’ compensation law. These types of injuries are caused by an ascertainable event, at a specific time. Injuries are generally thought to be the result of a specific occurrence; i.e. you lift a heavy object at work and hurt your back. However, Minnesota workers’ compensation law recognizes that not all injuries occur as the result of a single incident. Some injuries are the result of a degenerative process caused by the physical stresses of particular jobs over a period of time. These injuries are referred to in workers’ compensation parlance as “repetitive minute trauma,” or “Gillette” injuries. Gillette injuries can develop over a few weeks or many years of trauma. Injuries can occur to just about any part of your body and both the employee and his/her treating doctor can often overlook the cause. Many occupations require a worker to perform the same motion dozens, hundreds or thousands of times each month. These repetitive motions often result in a cumulative type trauma. This is also known as a Gillette injury and is fully compensable as a work comp injury. The onset of this type of injury is often gradual. Injuries that occur over time can actually be much worse than a sudden fracture or other work injury. The severity of the injury is not always known right away. The moment you suspect you have this kind of injury, you should report it to your employer and seek Chiropractic care. If you or a loved one has suffered a repetitive work injury, consult an experienced St Paul MN Chiropractor to discuss types of treatments are available. Repetitive stress injuries are typically caused by forceful actions repeated over and over. Lifting, grasping and pinching motions are some of the most common. Heavy labor and jobs that require repetitive positions and actions can lead to gradual wearing out of your back or other body parts over time. Do not attribute this to “getting old” or the usual aches and pains. This is a work injury for which you are entitled to compensation. It is the law. Occupations that commonly cause repetitive injuries include construction jobs, assembly line work and data entry jobs, among others. Virtually any type of injury can be caused by repetitive stress, but some of the most common are low back and neck injuries, shoulder impingement, chronic knee degeneration, meniscus tears, carpal tunnel syndrome, tendinitis and other types of chronic pain. Many studies from around the world do in fact show that chiropractic treatment is safe and effective. In this independent, ongoing study by Rand, an expert panel of doctors of medicine and chiropractic reviewed 35 years of research. They agreed that spinal manipulation is an effective treatment for low back pain. In 1979 the government of New Zealand published an objective study of chiropractic. The purpose was to determine the merits of including chiropractic in its Social Security and Accident Compensation programs. The commission concluded that chiropractic is “remarkably” safe, cost effective, and recommended that chiropractic care be covered under its Social Security and Accident Compensation Acts. This 1993 Canadian research study found chiropractic effective, safe and cost effective. This study was funded by he Ministry of Health. This 1998 study of 10,000 workers with back-related injuries found that the workers that were treated using chiropractic care returned to work quickly and that the treatment was cost effective. Chiropractic treatment is covered by major medical insurance and MEDICARE. Chiropractic treatment is also covered for injured workers and those injured in auto accidents. Many hospitals are now providing chiropractic services. Hospital administrators and medical physicians are recognizing the efficiency and safety of chiropractic treatment. 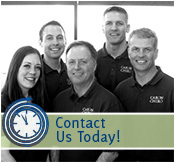 A St Paul MN Chiropractor will provide an integrated approach to your therapy needs. They believe chiropractic care is an important aspect of caring for many spinal problems, but they also know the importance of adding the expertise of physical therapy, massage, rehabilitation, and exercise for a complete program. This entry was posted	on Thursday, June 7th, 2012 at 6:00 am	and is filed under Carpal Tunnel, Chiropractic Treatments, Work Injury. You can follow any responses to this entry through the RSS 2.0 feed. You can leave a response, or trackback from your own site.